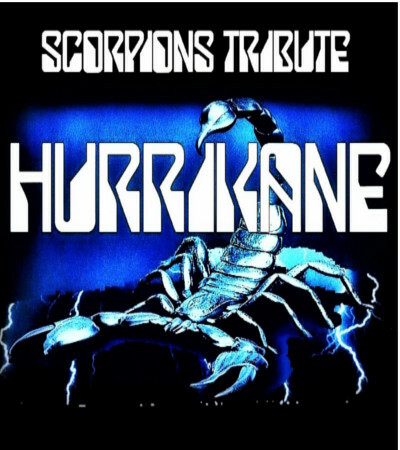 HURRIKANE (Scorpions Tribute) available for Corporate Events, clubs, fundraisers and parties. Formed in 2010 and based in Los Angeles CA, HURRIKANE (Scorpions Tribute), name which is from the title of a landmark Scorpions Song Rock you like a Hurricane from 1984 album "Love at first Sting" worked hard to reproduce the songs as they were originally created and performed by the Scorpions. HURRIKANE captures the power and energy of one of the most successful hard rock bands of all time, also pays special attention to technical details and choreographies and stage moves of the Scorpions.